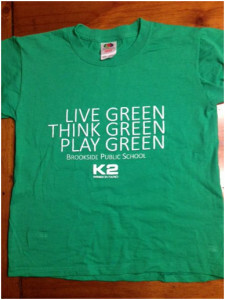 Do you have kids at Brookside P.S. ??? 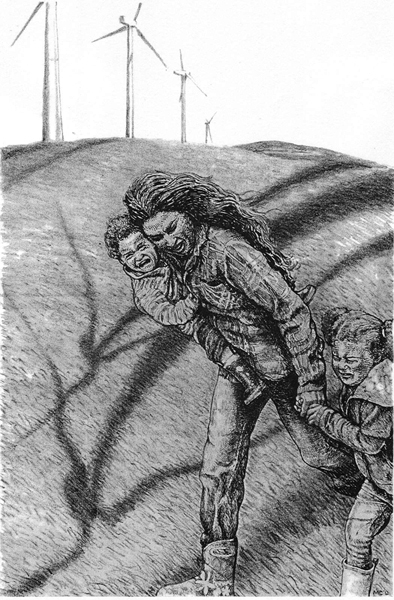 Or is a wind company bribing YOUR children? Please tell me that this information is not true. I read in your Newsletter online that you do have a new playground, but can’t believe you have accepted bribe money from Samsung/Pattern, the wind turbine company which is decimating the rural landscape all around your school, not to mention negatively affecting the health of many families. Please explain the t-shirt below. If we are teaching our children about integrity, we would need to demonstrate integrity as an example so as not to confuse them. Please set the record straight asap. Thanks. Policies NEED to be in place for many turbine related matters and schools. 1. No propaganda for kids! No bribes. 2. No threshold for small turbines on site or near. 4. 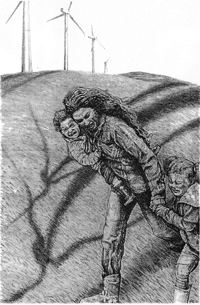 Wind turbine children website under development! Let me know if you want more ammo! The school might like to be proactive, rather than the guinea pig of the wind industry. THE WORST THING they can do, is endorse projects by sending kids home with Tee shirts, or written propaganda.